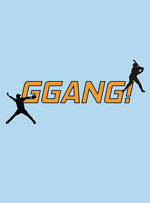 'GGANG!' 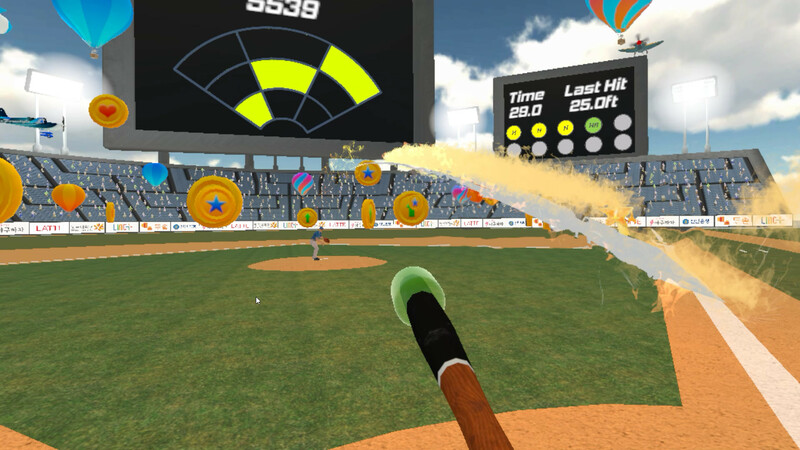 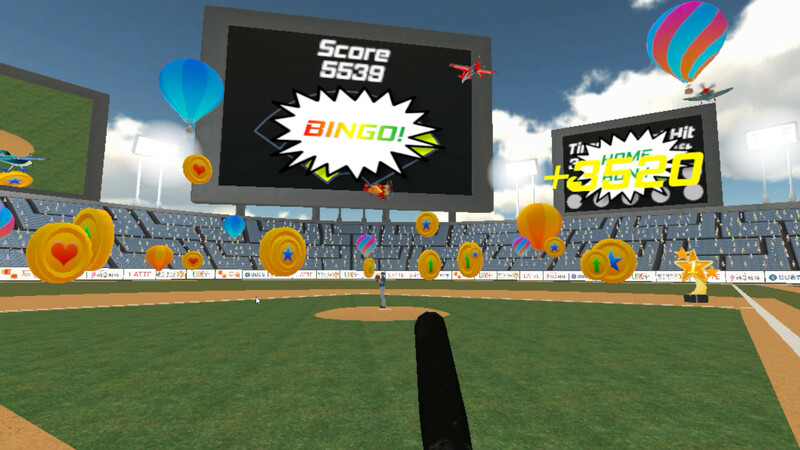 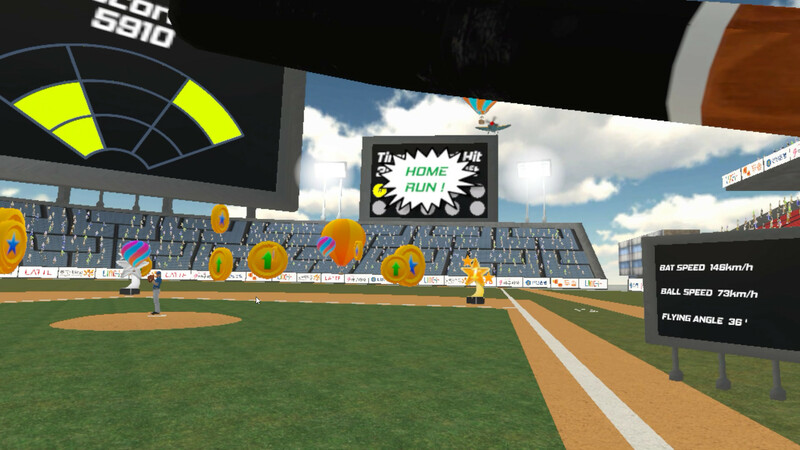 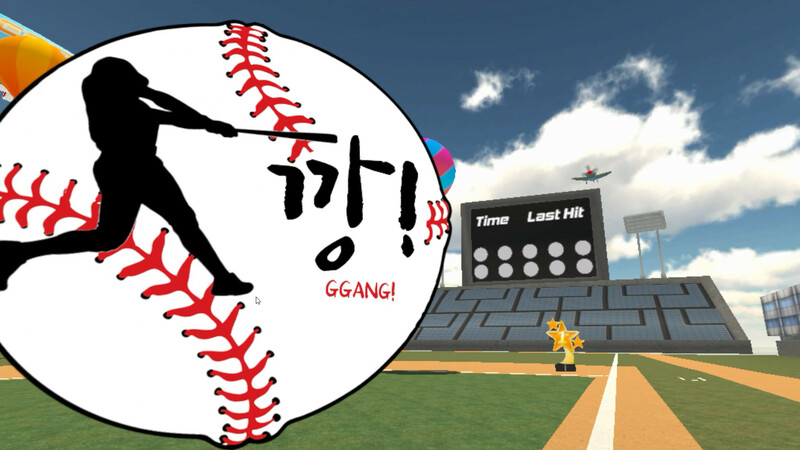 is a virtual reality baseball game. 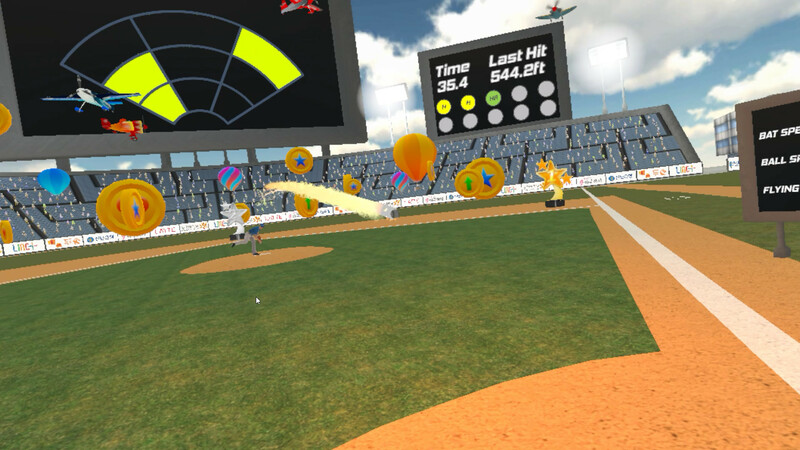 You can either play the game alone with an AI pitcher, or with another player using a single device.